‘Dee’ Fundraiser - Officially LAUNCHED! For my birthday, I’ve launched the ‘Dee’ campaign and would love your donation and/or help with exposure by emailing to to your friends and family and posting it on your social media. The fundraiser site is HERE! ‘Dee’ is getting produced - and I NEED YOUR HELP! Remember that super cool contest I submitted my screenplay for? Well thanks to all your votes, I CAME IN SECOND PLACE! Second place prize was to get a professional fundraising video created. I’ll use this video to raise funds for actors, equipment, crew, etc. and all leftover funds will be donated to the Brain & Behavior Research Foundation. Keep an eye out for the final product and please pass it along for donations! I've decided to re-write my original short play, "D", as a short film, and have submitted it into a screenplay contest and I need YOUR VOTE! 'Dee' is a hilarious story about a girl named Amy who is learning to coexist with her depression. The grand prize of the contest is to get the winning film fully produced by the Reproductions team. It would be a dream come true for this to come to life and I believe it could bring some joy to a lot of people. Please vote HERE! You simply click on the purple 'vote' button, followed by the link in the validation email sent to you (it will not count if you don't click this link). One in Four - "Absurdity at it's funniest"
"...the four young actors adeptly massaged the audience's funny bone" - read review HERE! "...another important reason to produce new work -- to take audiences places they've never been before." - read review HERE! "The exploratory Carrie is played with a lot of verve by Jess Rawls as she embraces the wildness of her new life." - read review HERE! "One in Four was headed for success, and success it got." - read review HERE! "It’s funny. It’s hilarious. It makes you laugh. That’s all it needs to be." - read review HERE! "A scrappy, wacky romp into absurd farce by 4 accomplished talents." - read review HERE! Remember that hilarious show I was a part of at the DC Fringe Festival in the summer of 2017? The one that received a 5-STAR REVIEW!? (If you don't, scroll down). If you do, but you missed it, you get a second chance! We have been invited to perform Nu Puppis' "One in Four" by Levi Meerovich again at the Firehouse Theatre in Richmond, Virginia! Come check it out in April 2018! Get your tickets HERE! After submitting my short play, "Period Piece", to the Strawberry One Act Festival, it has been accepted and will perform in Spring 2018. I'm hoping to revive with the cast it was written for, but that confirmation is TBD, however I do plan to direct it. The festival is a competition and first prize receives $1,500! I'll need your vote! For more info on "Period Piece" check out my "Writing" page! In November 2017 I had the pleasure of producing my second one-act festival with River City Stages. I was lucky enough to not only put up a one-act I'd written, but to star in it as well with the very talented Matt Mitchell. Under the direction of Becky Granger, I could not be more proud of the product. Look for Bird/Plane in future fringe festivals, and if you want an excerpt, check out my "Writing" page! I, along with three other board members, have created a new company called River City Stages. We bring artists together from all "river cities" (Richmond, DC, NYC, etc.) to enhance our craft, and get out of our comfort zones in a safe environment. In November 2017 we presented our second ever original play festival, Missed Connections. All board members facilitated the event, and I starred alongside Matt Mitchell in my own original one act entitled: "Bird/Plane", directed by Becky Granger. Macbeth Tour - Hudson Shakespeare Co.
One in Four - Five Star Review! In Summer 2017 I had the pleasure of being in a production with Nu Puppis at the DC Capital Fringe Festival entitled "One in Four". A hilarious show, written by Levi Meerovich, about four alien roommates trying to pass off being human. I played Carrie an uptight nurse studying humanity. We received a 5-star review for this performance at Cap Fringe! You can read the review here! (Yes, that is a mask of my face on an alien created by the very talented Dixon Cashwell). In April 2017 I premiered two short plays I wrote, "D" and "Period Piece". I starred in "D" and directed "Period Piece". For more info on both of those, please check out my "Writing" page! 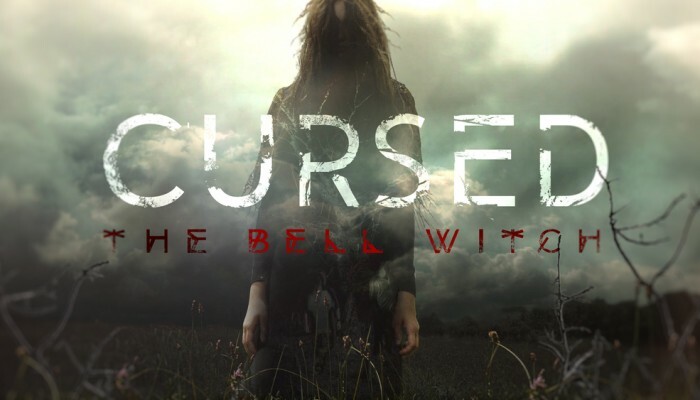 In the summer of 2015 I was asked to audition for a role in A&E's Investigation Discovery television series, "Cursed: The Bell Witch". While I did not receive the initial role I auditioned for, I was later asked to accept the role of Mary Bell without an audition. All episodes can be found on the A&E website, I am in episode 2! In spring/summer 2015 I toured 5 major cities with some talented colleagues from Virginia Commonwealth University, whom I now consider family. We traveled to Washington D.C., New York City, Los Angeles, Atlanta, and Chicago. We devised our own show called "Uncommonwealth" filled with monologues, original scenes, original songs, and special talents we each brought to the table. I performed a monologue from "Some Girls" by Neil LaBute, and a scene with the wonderful Taylor Ballard called "Eyelash" written by Max Ehrlich and Taylor Ballard, himself. It was a wonderful experience, and made me realize I wanted to move to New York City. During my senior year at Virginia Commonwealth University, I discovered a dream role I never knew I had. I got to play Elizabeth Bennett in Jane Austen's "Pride and Prejudice". It was extremely challenging and rewarding all at once. In addition to sharing this story, I was privileged with premiering on Richmond, Virginia's local access channel for an interview about the show itself. You can find the interview and a sample of the performances here!